The passenger ship SS Yongala sank off Cape Bowling Green, Queensland, Australia on 23 March 1911. En route from Melbourne to Cairns she steamed into a cyclone and sank south of Townsville. All 122 aboard were killed, and traces of the ship were not found until days later, when cargo and wreckage began to wash ashore at Cape Bowling Green and at Cleveland Bay. It was believed that the hull of the ship had been ripped open by a submerged rock. The wreck, which has become a tourist attraction and dive site, was not found until 1958. This one is a real adventure! This wreck is rated in the top ten. 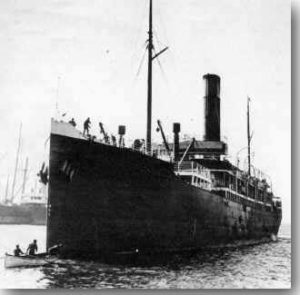 In 1911 the SS Yongala dissapeared without a trace, along with all 122 persons on board. This disappearance remained unresolved for 36 years, until a mine sweeper discovered her off Townsville, after WWII in 1947. Another 11 years passed before divers visited her. Today she is alive with a variety of marine life unique to Australia. The wreck is a divers delight and a photographers dream. She is a playground for marine biologists and a home to countless critters. This dive is an exhilerating and humbling experiene all at once. While there are still human remains on the wreck (a skull is still clearly visible to all who dive here) there are huge schools of large fish, hovering rays, a multitude of small life. The hulk is basically intact. Depths range from 15-34 metres, although most dives can be kept to 22 metres. There is almost always a current and it usually quite strong. Visibility is usually 10-20 metres but can be up to 35 metres. This is an advanced dive.